Thank you Kalahari Resorts for partnering with me. Thank you for supporting the brands who support this blog. As always, opinions are only my own. Last month, we took a vacation to Kalahari Resorts in the Pocono Mountains to celebrate National Waterpark Day! 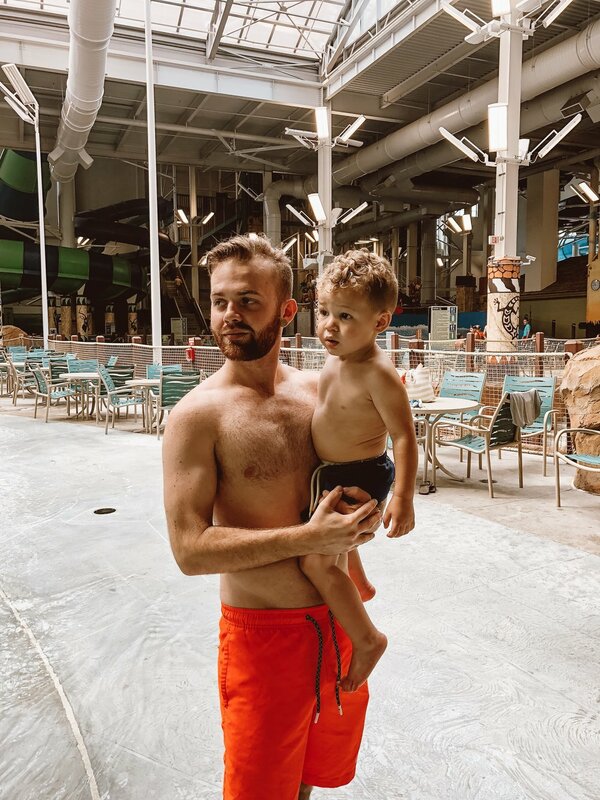 This summer has been a busy one for us, so taking a vacation at America's Largest Indoor Waterpark was EXACTLY what we needed. Being a single mom, I don't get a lot of time to give Aimery my undivided attention, so taking him to this family friendly resort was something I will cherish forever. 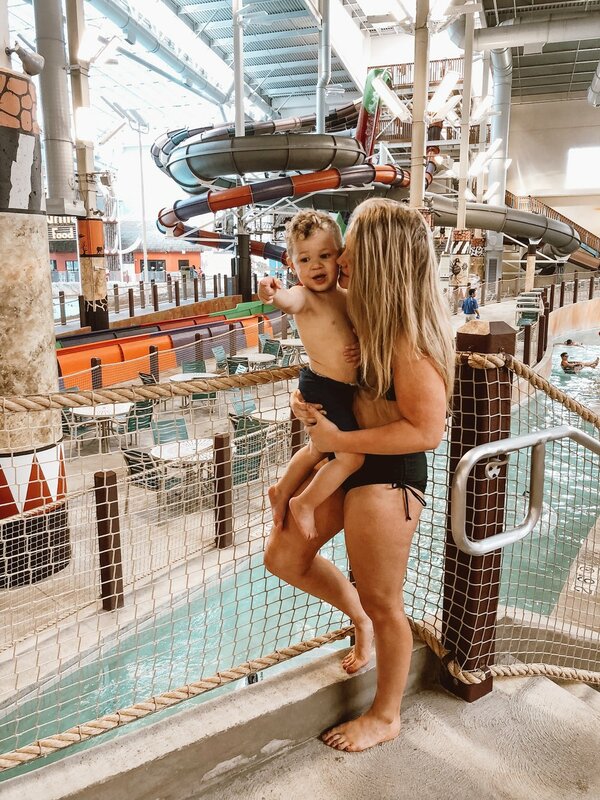 Our entire experience at Kalahari Resorts was a total dream and we had the time of our lives! 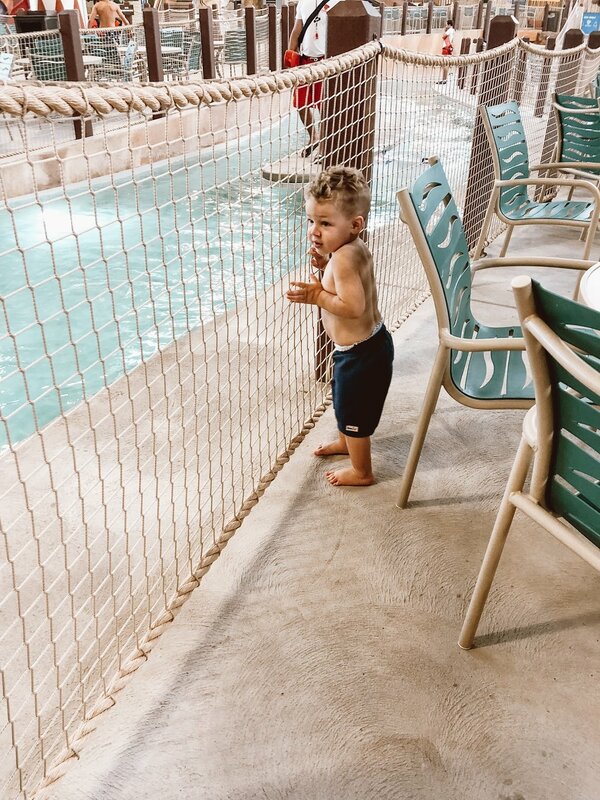 We arrived at Kalahari on Thursday before check-in, which worked well for us so Aimery could get a solid nap in before exploring the resort! 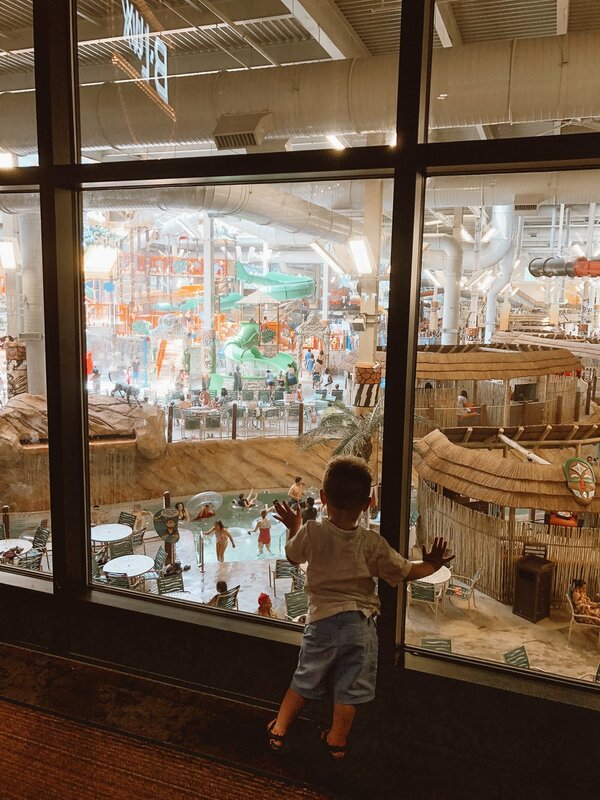 Kalahari wants to allow you as much time to enjoy their waterpark as possible, so they give you access to the waterpark before check-in and also until close on day of check-out. 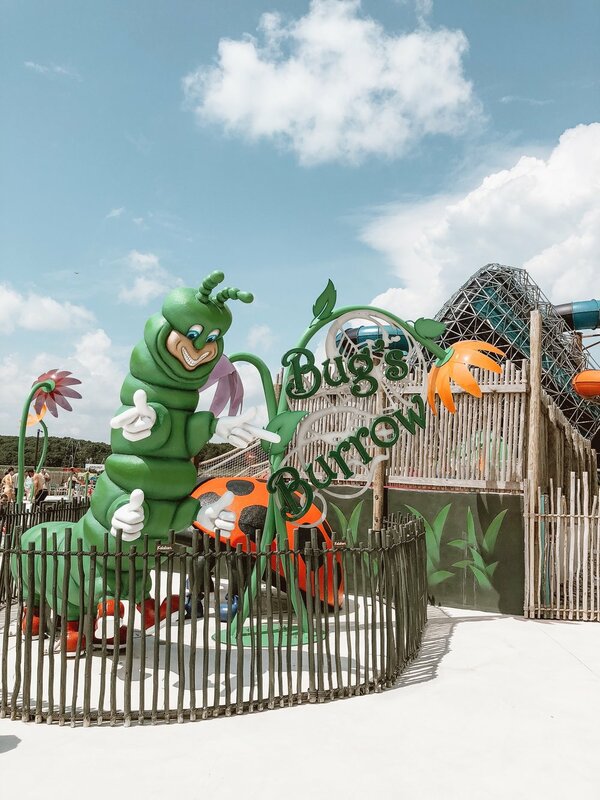 With their indoor and outdoor waterparks, there is SO much to do! 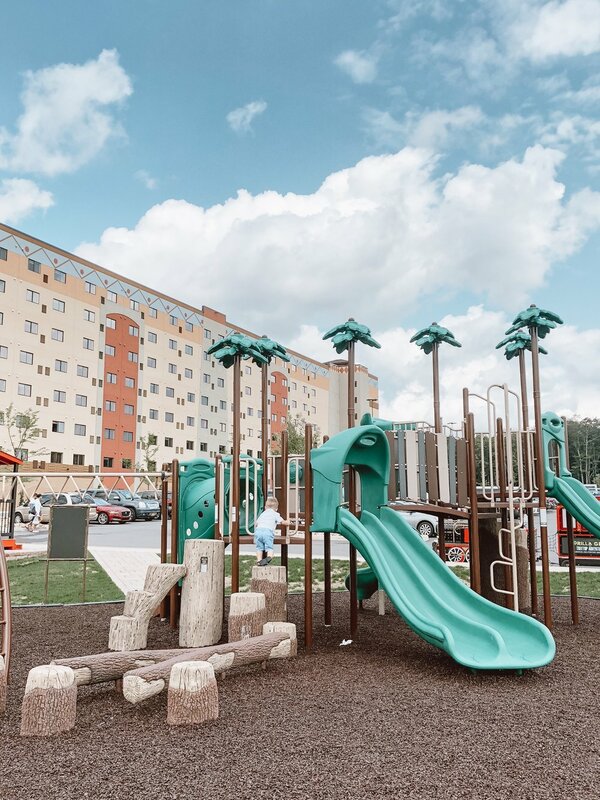 From the rides and slides, to the pools and water spas - the entire family will have hours of fun! After we checked-in, we went straight to our African Queen Suite which is perfect for parents with kids since there are two bedrooms. This suite can accommodate at least six people with one king bed, separate room with two queen beds, queen sofa sleeper, living room with fireplace, three TVs and one and three quarter baths. It was such a great space for us to enjoy our vacation. After dropping off our bags, we went to explore the resort and stopped at Ivory Coast Restaurant for wings and then hit the Big Game Room! The Big Game Room was Aimery's favorite experience at Kalahari. 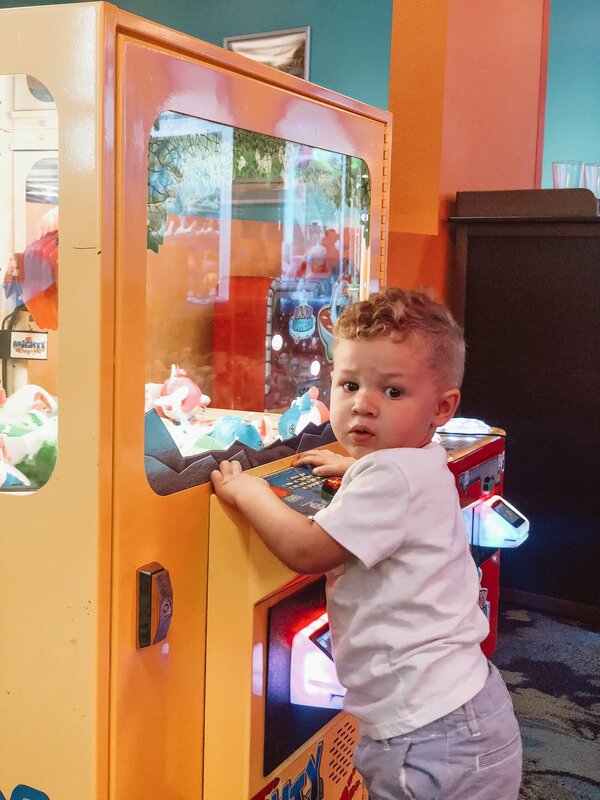 With hundreds of the newest, biggest, and best arcade games - can you blame him?! 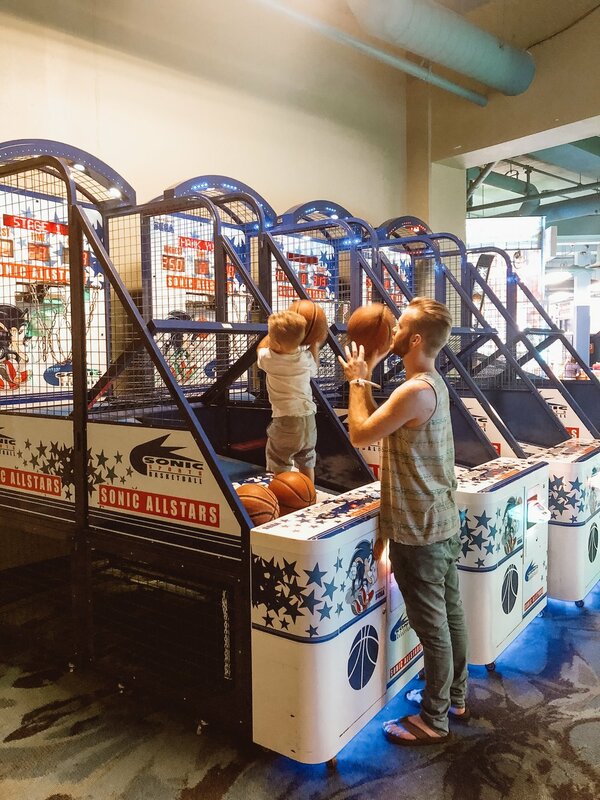 There are games for the entire family, and when you are ready to cash out there's a giant walk-in prize store! They even have black light mini golf, mini bowling, 7-D motion theatre, escape rooms, and virtual reality experiences. We spent our whole evening at the Big Game Room and Aimery walked away with new toy prizes to play with all weekend! 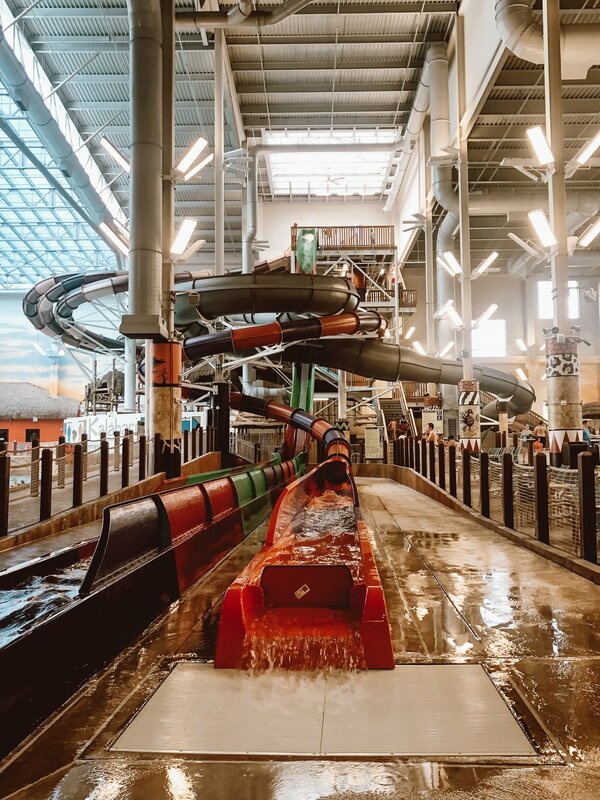 On Friday morning, we all woke up anxious to finally hit the indoor water park. Our first stop was Coral Cove. We spent most of our time at the Splashdown Safari and Coral Cove so Aimery could splash and play in the water! 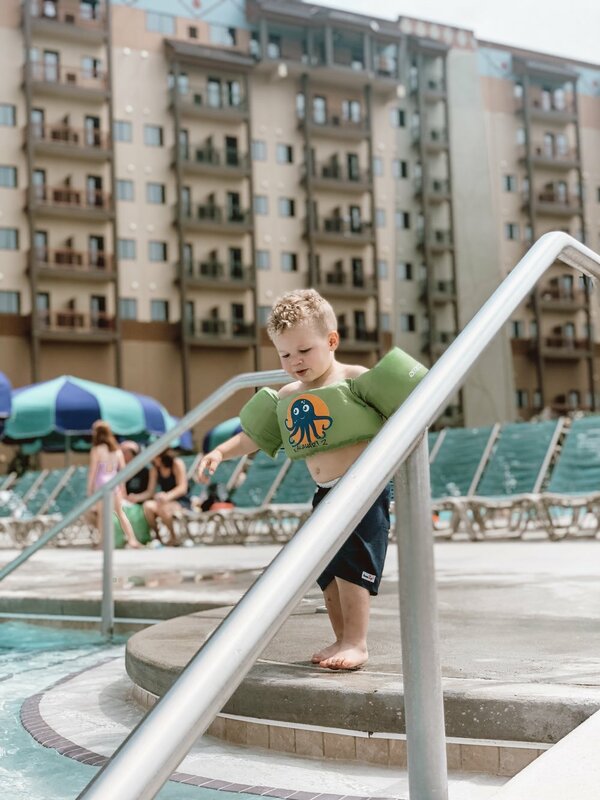 Although he was a little hesitant at first, he ended up having a good time exploring the waterpark! For the older kids and adults, Kalahari has what seems to be endless rides and slides, including the Barreling Baboon to the Cheetah Race! They also had a ton of other things to do - like the wave pool, flow rider, lazy river, and swim up bar. It's fun for everyone! 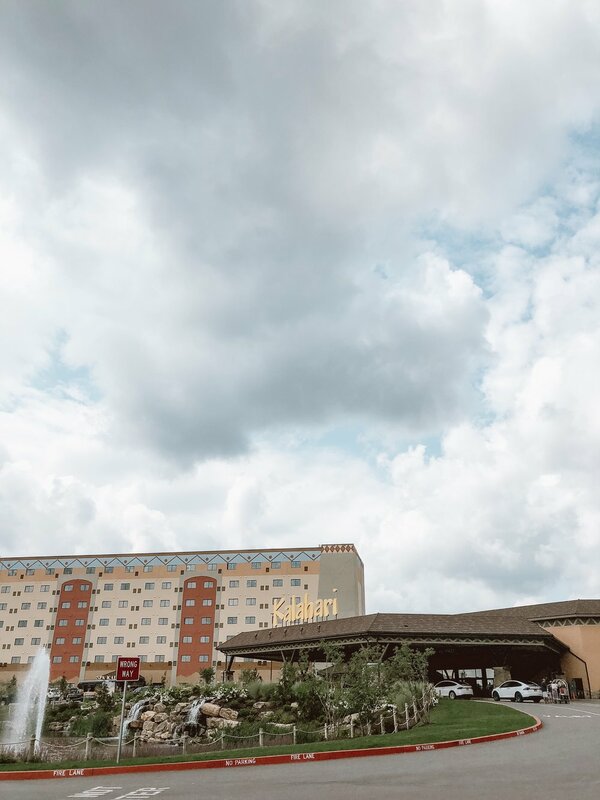 After spending a few hours in the indoor waterpark, we decided to take a break and check out one of the world-class dining options at Kalahari for lunch! We were really feeling burgers and milkshakes, so we HAD to head over to B-Luxe Grill and Bar! 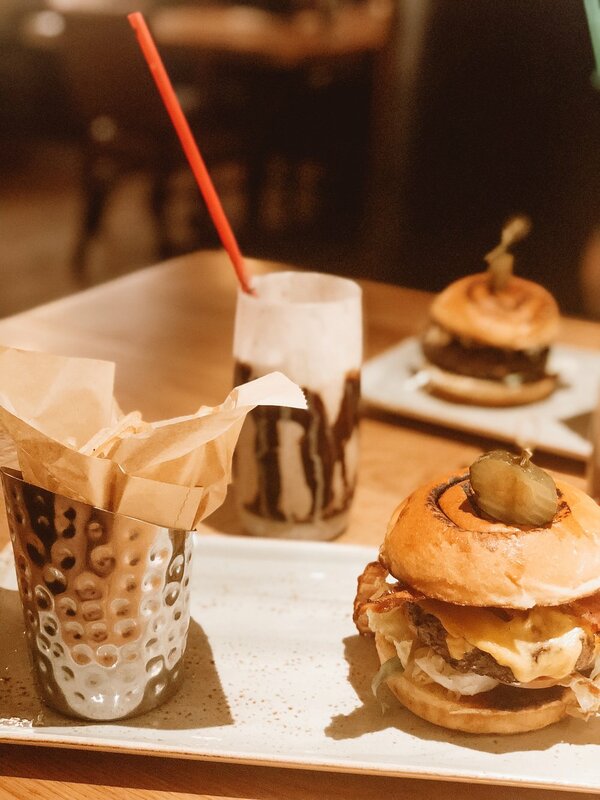 B-Luxe allows you to dine in style with their unique burgers and shakes. They also sell hard shakes with Baileys - and if you go you MUST get the Oreo-A-GO-GO. You can thank me later! After taking a short break for lunch and Aimery's four hour nap (he was worn out after our morning!) we got ready and headed to the outdoor waterpark to enjoy some fun in the sun! The waterslides, bungalows, and pools were absolutely amazing. I'm so glad that Kalahari allows you the option to enjoy the waterpark both inside and outside! After playing outside for a few hours, we had a nice sit down dinner at Sortino's Italian Kitchen. Aimery could not get enough of the garlic bread - he pretty much ate the entire loaf! And the pizza was SO good. We will definitely be putting that on our list of places to eat each time we come back to Kalahari! 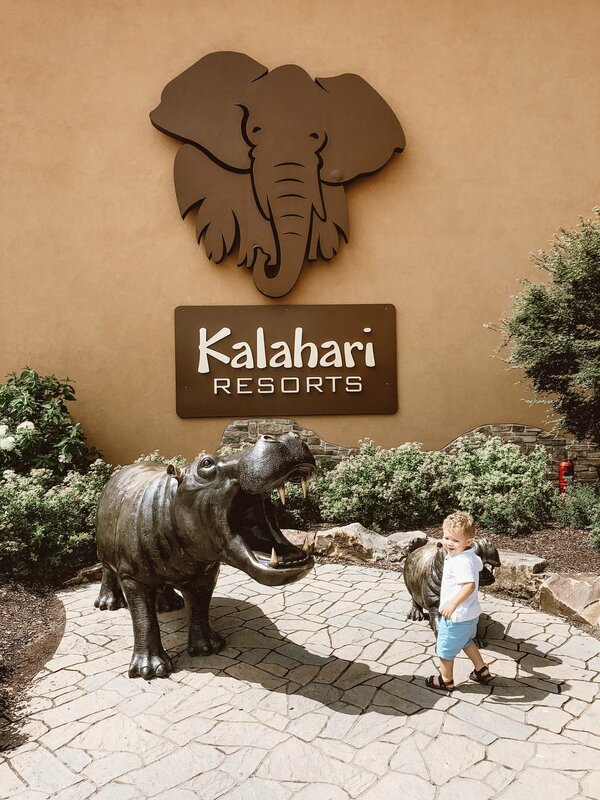 Thank you, Kalahari Resorts, for inviting us to stay at your resort for a few days. It was our best vacation yet! See you again soon!